Manifattura Valle was founded in 1949 by brothers Fausto and Franco Radice. It was situated in Busto Arsizio with productive unit in Villadosia (Varese), where it occupied approximately 400 employees. The production was that time textile for clothing. During the 70ies, it began a production on behalf of third party. 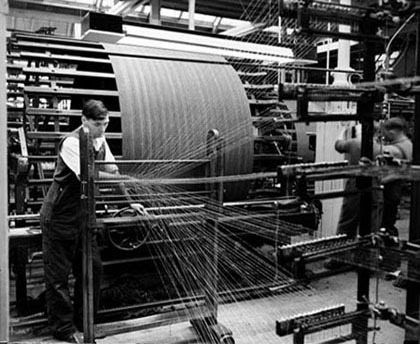 With the arriving and increase of Large Scale Distribution (following years ' 80) the production changed from clothing to home linen (both manufactured and not) reserving to the wearing apparel only the production by linear meter of some woven technical fabrics for special use (antacid and flame-retard certified fabrics). The activity has been continued by the second generation of the family together with a few but highly specialized collaborators, skilled in transferring their own creativity to external production processes, and in the control and coordination of these.